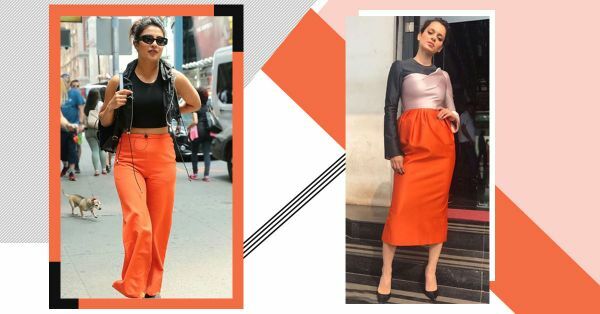 Orange Is Bollywood's New Black: 8 Outfits That Restored Our Faith In The Colour! For some reason, over the past few years, bright colours like orange and hot pink have became a sudden no-no. It’s true that these shades are tricky but when worn right they’re just the shock of colour your wardrobe needs. What better timing than summer to make the switch? Orange is a toughie but it’s also a *wowie*. It can get scary to jump right in and for good reason. The colour needs more of a planned approach and some guides to help you shop. Factors to keep in mind… one, your complexion and which shade of orange goes best with it; two, orange separates are key to a successful outfit (head-to-toe orange can be overwhelming sometimes); three, wear interesting textures to distract from all that ‘orangeness’. Here’s Priyanka Chopra serving a ‘lewk’ and how! 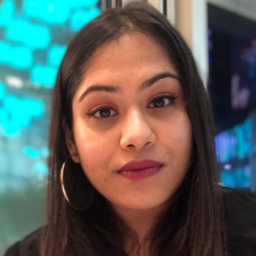 PeeCee was spotted walking her doggie, Diana, in a black cropped tank top with a cropped jacket and jumpsuit-orange drawstring track pants. The 90s nostalgia is strong in this one. 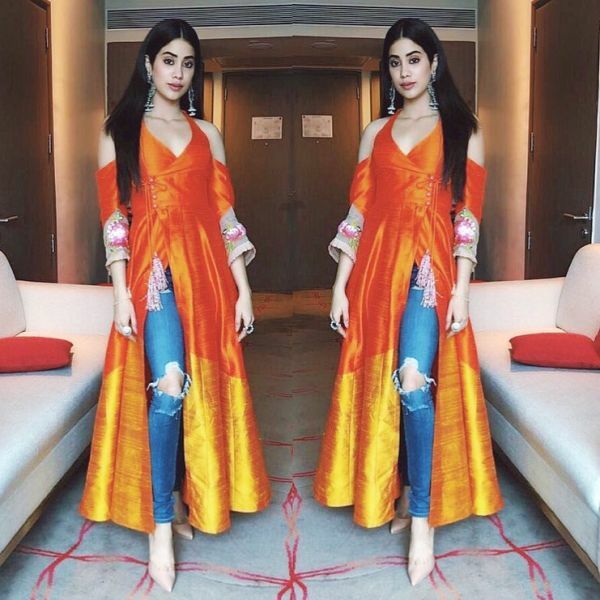 Dhadak promotions shed a new light on Janhvi’s personal style. Usually seen in subtle pastel shades, the actress gave us orange inspo in this vibrant Manish Malhotra slit detail Anarkali kurta, which she wore with jeans. Try pairing your oranges to neutral colours like cream and baby pink and greys for a balanced look. Kangana Ranaut’s Bibhu Mohapatra dress is a burnt orange dream, isn’t it? If there’s anyone in Bollywood who can work orange on orange on orange, it has to be Sonam Kapoor. Spotted at the airport in this Rajesh Pratap Singh outfit, Sonam did us proud by nailing the sunset shades like a boss. This coral orange kurta by Natasha J Label is giving Athiya Shetty’s skin all kinds of glow. Add a breezy print to your all-orange look to ace it. Everyday awesome is a cakewalk for Sophie Choudry. Look at the singer and actress setting a high bar with her orange paper bag waist pants! We’re in love. Of course, PeeCee’s on here twice. Call it the new romance glow-up but Priyanka Chopra is on a fashion high and you know it. This satin pantsuit in a warm orange by Off White is setting Instagram on fire. Who would have thought an orange floor-length dress could look this good? Sonakshi Sinha looks like a dream in this Gauri and Nainika gown. Faith in orange restored!